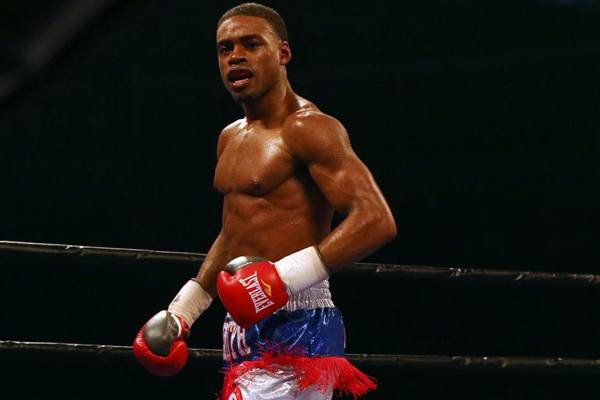 The first big fight scheduled for 2018 takes place on January 20, when IBF belt holder Errol Spence Jr. takes on veteran contender Lamont Peterson. The 147-pound class is traditionally among the sport’s glamor divisions and that’s certainly the case right now. The weight class is stacked and should provide some of the best fights in the coming year. Peterson is a talented, sturdy veteran but Spence is a next-level talent. I will be shocked if this bout goes the distance. Spence stopped the very solid Kell Brook last year to claim his belt. He should do the same against Peterson. In a perfect boxing world, that would set up a showdown later in the spring between Spence and Keith Thurman. Thurman fought just once last year, unifying the WBA and WBC straps in March when he edged Danny Garcia by split decision. While I thought Thurman unquestionably deserved to win that fight, his defensive performance in the second-half of the fight was hardly inspiring. Nevertheless, he stands alongside Spence as one of the two top fighters in the welterweight division. A fight between the two would crown a true world champion at 147 pounds. The other alphabet-soup strap at welterweight is the WBO belt, held by Australia’s Jeff Horn. He won it from Manny Pacquiao last year by controversial decision. Pacquiao deserves a rematch if he wants one. But former undisputed super lightweight champion Terence Crawford should get a crack at that belt before the end of 2018. I’ll go on record right now, I expect Spence to beat Thurman, if they ever do fight. And I think Crawford will handle either Horn or Pacquiao. In my estimation, Crawford and Spence are the future of the sport. With any luck, the two will be set to clash in 2019, with the undisputed, Welterweight Championship of the World up for grabs, along with No. 1, pound-for-pound recognition.